Friday May 11, 2012, UMC Utrecht, Maliebaanzaal. Organizers: Bart M. ter Haar Romeny (TU/e), Nicolai Petkov (RUG). Free admission, but register here (deadline has passed, late registrations are accepted but be last in line for coffee). Speakers (see program below for details): Nicolai Petkov, Pieter Roelfsema, Bart ter Haar Romeny, Wolfgang Maass, Thomas Bäck. The brain is analyzing its incoming information with unequivocal performance and robustness. Considering that our brain is using only 25 Watts, in comparison to the Megawatts of modern internet datacenters, we still have some way to go to mimic its internal computations. Not only do we aim to learn much more about the anatomical and biochemical structure of its neurons, and the functional and structural connectivity of many of its networks, but also we like to understand the functional calculations that take place in its circuits. This can be a great inspiration for new and unconventional methods in real-life calculations. This NeuroInformatics.nl workshop edition focuses on brain-inspired computing: inspired by recent functional findings, how to test and validate these, and explore new application areas. Can we develop a radically new kind of information processing technology and computing engineering based on brain-inspired paradigms? 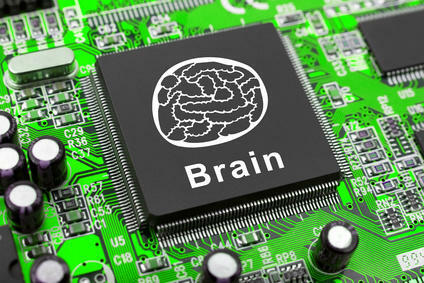 And come up with new and unconventional insights in the computational mechanisms of the brain?